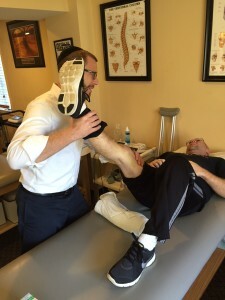 Our therapists are specialists in treating orthopedic injuries. Orthopedic injuries consist of conditions or injuries that affect the joints, ligaments, muscles, and bones of the body. Whether you are a weekend warrior who hurt your shoulder playing tennis, a high level athlete who suffered a torn ligament, or just someone who tripped walking down the street, Monmouth Rehab Professionals therapists treat all injuries with the same dedication and care. Our goal is to get you back to your pre-injury state.